The deceased, who’s well-known as the Mbrantehene (Youth Leader) of Japekrom, was among those leading the townsfolk including chiefs, as part of activities marking their Munufie Festival when the shooting took place on Wednesday afternoon. About fifteen other natives of the town have also been injured in what appears to be shooting by snipers who were hiding in a storey-building believed to be the Palace of the Drobo Chief, according to Police in the region. 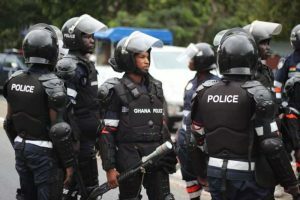 In the meantime, he says several police officers and military personnel have been dispatched to the area to ensure law and order by averting reprisal attacks. He described the experience as a “war zone”, saying he was yet to locate some of his family members, as virtually all the residents of the town were running for their lives. He added that the entire town is in a state of shock and fear, although military personnel and police officers have stormed the town. In 2015, the legal tussle over the land between the two towns is said to have been settled at the court and ruled in favour of Japekrom. The post Japekrom residents attacked by snipers in Drobo; 1 killed; 15 injured appeared first on Citi Newsroom.